When it was time for homeowners at the historic Fleur du Lac Estates in California to select new roofing materials, they looked for a product that would mimic the look of real cedar, but bring them advantages to protect their homes and buildings from Mother Nature. After a comprehensive search, they determined that the Class A fire and Class 4 impact ratings of Bellaforté polymer shake tiles from DaVinci Roofscapes met their needs. 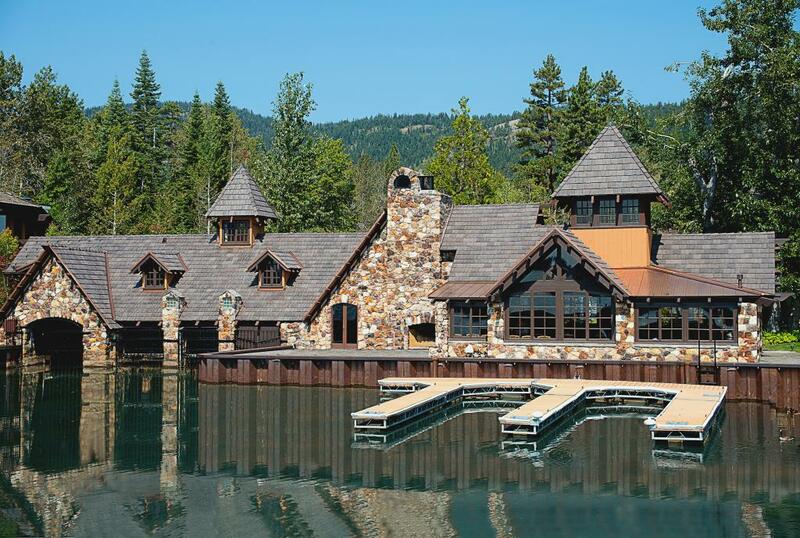 “We started with our two most valuable community structures, the Yacht Club and Boat House,” says Stewart Dalie, maintenance supervisor and project manager at Fleur du Lac Estates in Homewood, California. “Our plans are to re-roof all of the buildings in the Tahoe Blend over the next five to seven years. We did a tremendous amount of research to determine what roofing products would look realistic in this setting, meet the new codes required for roofs in our area, yet offer us superior qualities and a long life span. The Class A fire and Class 4 impact ratings of the Bellaforté tiles bring peace-of-mind to residents within the community. The durable roofing tiles have the appearance of natural hand-split cedar shake with slanted sawn edges and staggered lengths, but with the hassle-free qualities of a manufactured product. At a one-inch average tile thickness, Bellaforté Shake roofing tiles remind many residents of jumbo cedar shakes prevalent in the Lake Tahoe area. Need more information on cedar shake alternative tiles? See DaVinci Shakes Up Cedar Shake Roofing Option.